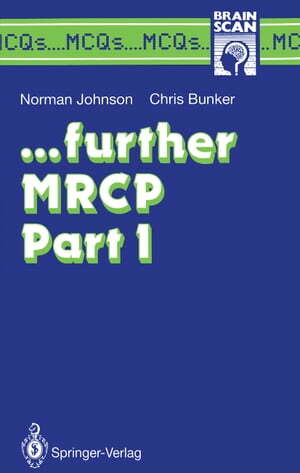 Collins Booksellers - ... further MRCP Part I by Norman Johnson & Christopher Bunker, 9781447120056. Buy this book online. Further MRCP-I is the third compilation of self-assessment exercises in this series of MCQs. It consists of five mock examination papers that have been used in the Bloomsbury MRCP Part I course. This approach remains a popular part of the examination system in that it provides a compact method of testing knowledge over a very wide field, particularly advantageous in a diverse subject such as medicine. This volume is suited to those in the final stages of preparation for their examinations, such as the MRCP Part I, which is taken by about 3,000 doctors annually. The user will gain experience of performing under the stress of a time limit.